Explore hidden gems such as Big Trees Lodge, National Historic Landmark and Lembert Dome. 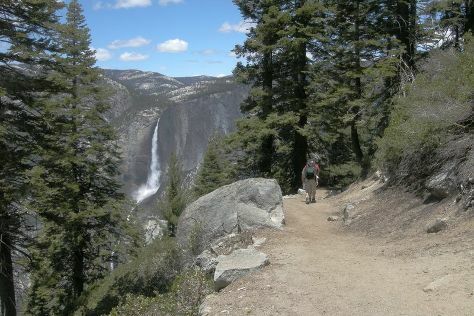 Step out of the city life by going to Lower Yosemite Fall Trail and Valley View. On the 25th (Sun), spend an exhilarating day on the slopes at Yosemite Ski and Snowboard Area. There's still lots to do: trek along Four Mile Trail, explore the activities along Cathedral Beach Picnic Area, and take in the dramatic natural features at Glacier Point. Make your Yosemite National Park itinerary with Inspirock to find out what to see and where to go. In November, plan for daily highs up to 54°F, and evening lows to 19°F. Finish up your sightseeing early on the 26th (Mon) so you can travel back home.